Hi! How was your weekend? Mine is still going on thanks to round 2 of the Polar Vortex! Brrrrrrrr. We had yesterday and today off due to the below zero temps so this brings our total to 4 days off this month due to cold weather. I’ve lived in northern Illinois and Wisconsin my entire life and I’ve never had a day off due to cold weather before, let alone 4 in one month! This weather is crazy. Anyway, I’m really happy for the extension of my weekend since I spent my actual weekend in Minneapolis at a teacher workshop. This summer I’ll be taking a group of students on an immersion trip to France and the program I’m traveling with (ISE) holds a workshop every year to help the teachers plan their itineraries and give useful tips and advice. I met a lot of other world language teachers and got a lot of advice from seasoned trip leaders so it was a great experience! The bad part, however, was that since I was the last person to arrive in my “triple” room due to my flight being delayed, I had to sleep on the incredibly uncomfortable pull-out couch the whole weekend. Getting poked by metal bars while I attempted to fall asleep was definitely not something I looked forward to after a really long week at work… Oh well, I survived. It also really helped that I had an extra unexpected 2 days off to rest before going back to work. 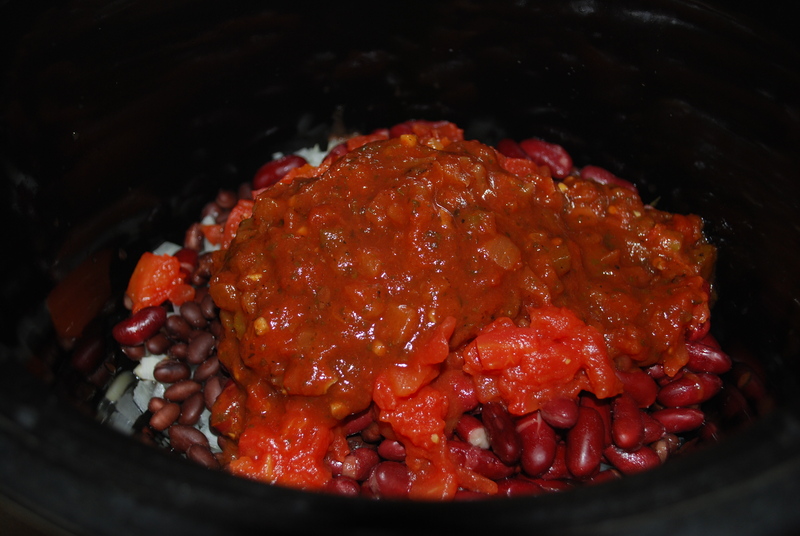 Yesterday, on my day off, I decided to try out a new freezer-friendly crock pot recipe. I am IN LOVE with crock pot recipes. 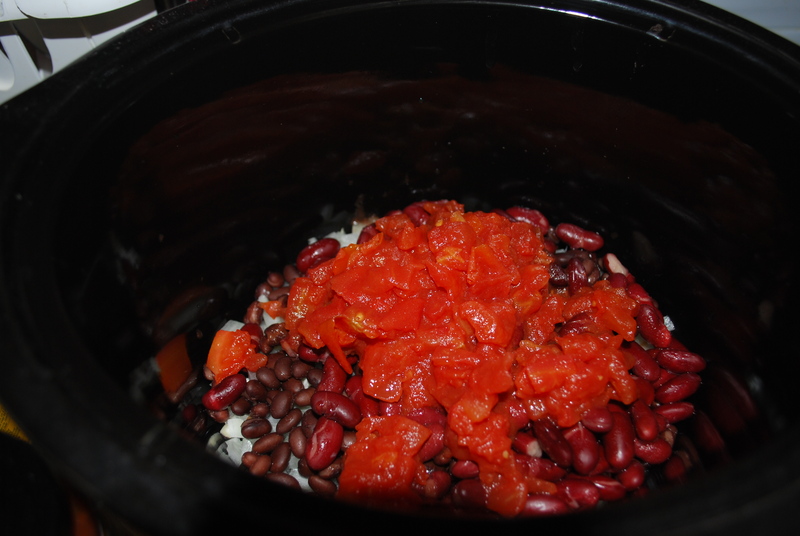 Especially ones such as this one where you can just throw things in the crock pot and have a meal a few hours later! So easy! 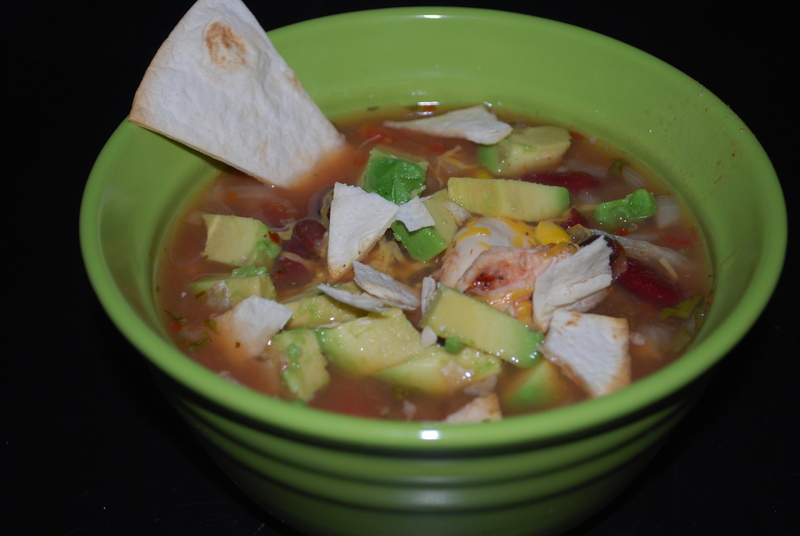 Here’s how to make Crock Pot Skinny Fiesta Chicken Soup. It’s nutritious, delicious, and has just the right amount of spice to warm you up on a freezing cold day like today. 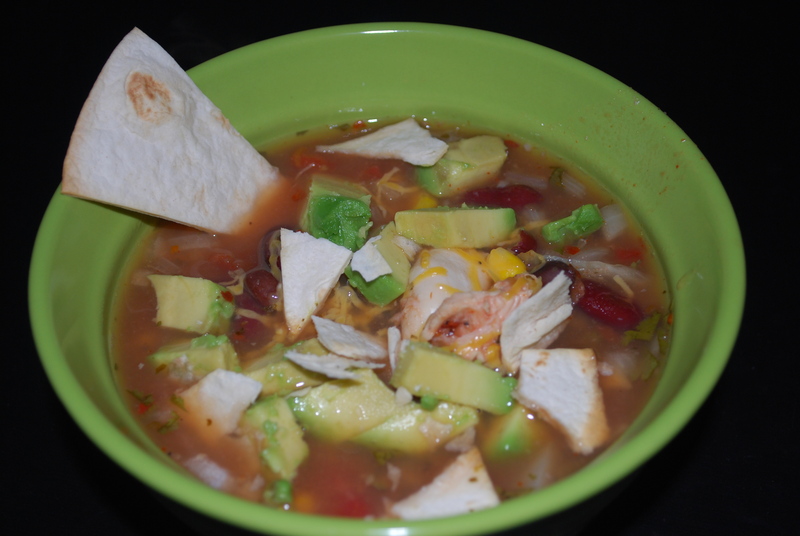 If you don’t have a crock pot, you could easily make this on the stove as well. Like I said, most of this recipe just involves throwing things into the crock pot, but you do need to chop a couple things. 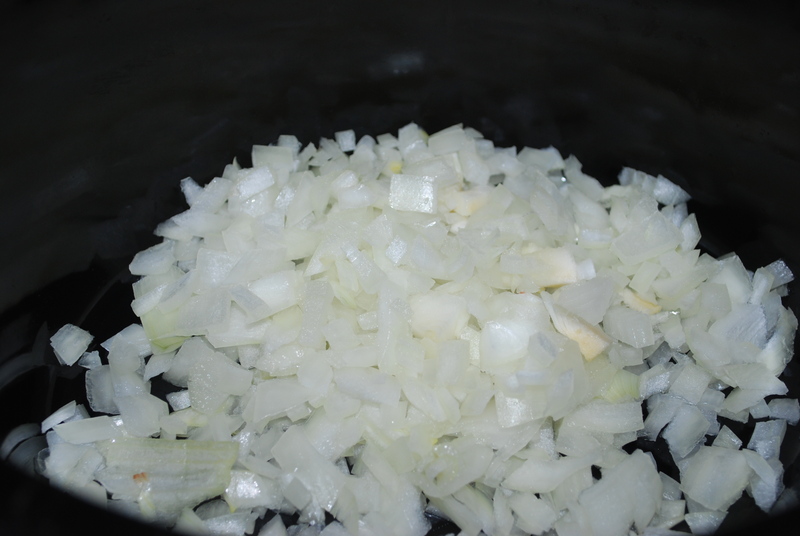 First, dice 1/2 a yellow onion, then place into the crock pot. 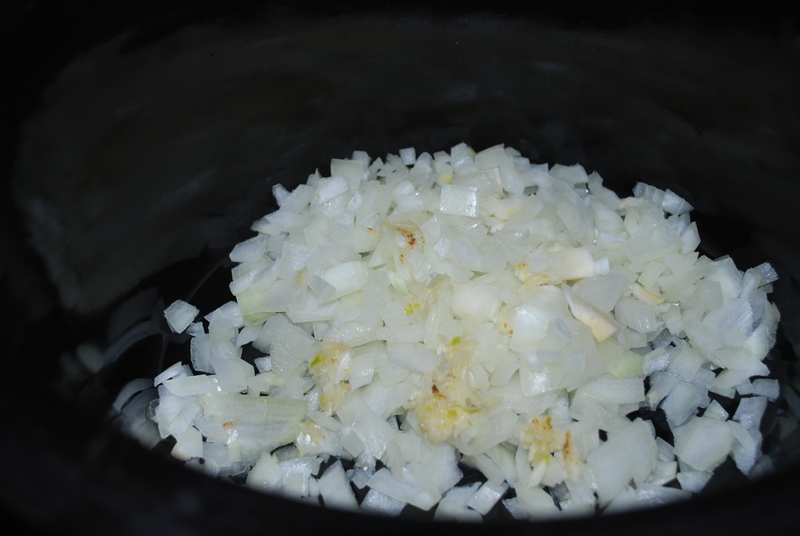 Mince 2 garlic cloves, then add into the crock pot. 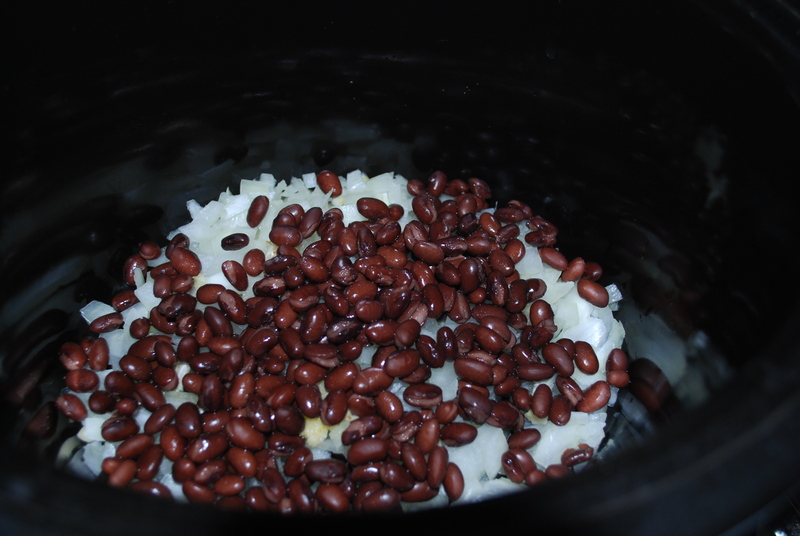 Next, rinse and drain 1/2 can black beans, then add to pot. 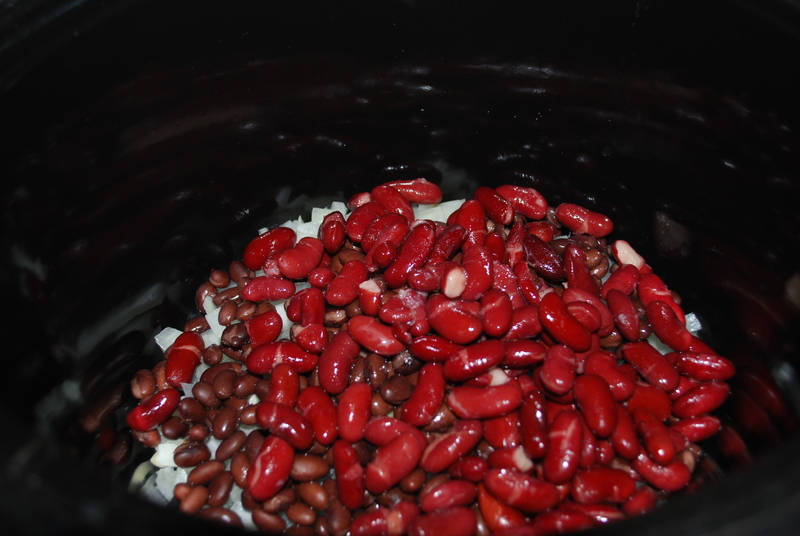 Rinse and drain 1/2 can kidney beans, then add to pot. Add 1/2 can diced tomatoes. 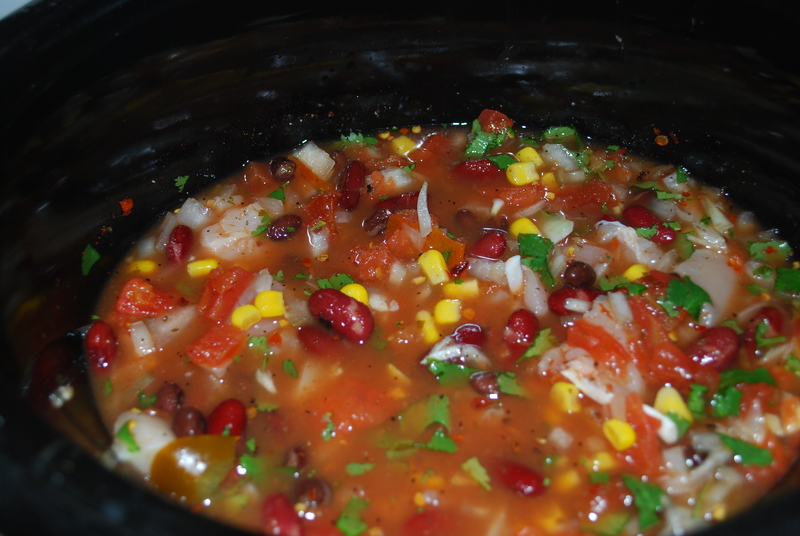 Add 1/2 cup of the chunky salsa of your choice. Add in 2 cups of chicken broth. I used low sodium. You can add more if you want your soup a little thinner. I thought 2 cups was perfect though! 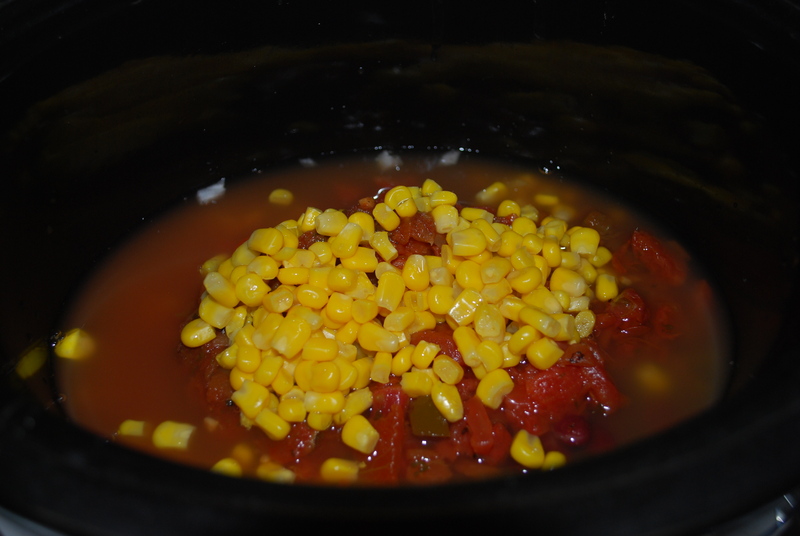 Add in 1/2 cup frozen, fresh, or canned corn. Wondering what you’re going to do with all these leftovers from the canned goods? I added them all to a container to either make this dish again, or I was also thinking burrito bowls would be a good idea! 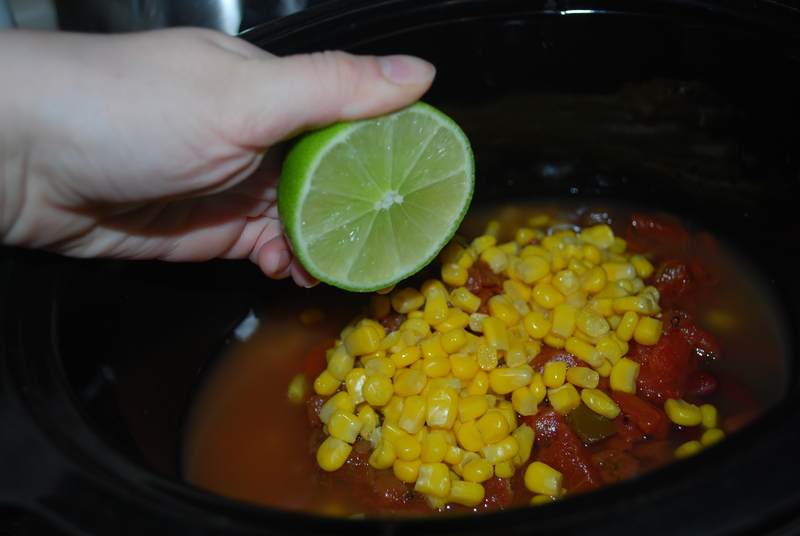 Next, add in the juice from 1 lime and the spices that will make this soup tasty. 1/2 tablespoon red chili flakes, 1 teaspoon cumin, 1/2 teaspoon cayenne pepper, 1/2 teaspoon black pepper, and salt to taste. 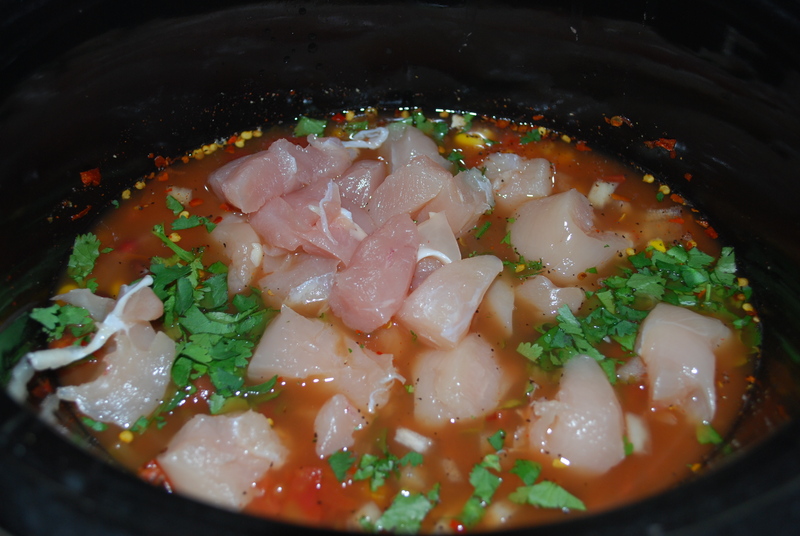 Finally, add in 2 raw boneless skinless chicken breasts that you have cut into 1-2 inch cubes. Top with a handful of chopped fresh cilantro. 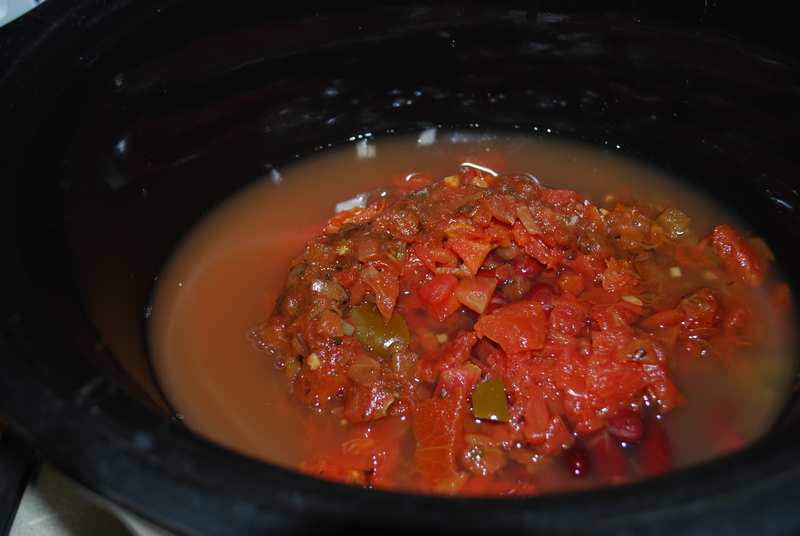 Stir everything together then set the crock pot to low and cook covered for 3-4 hours. 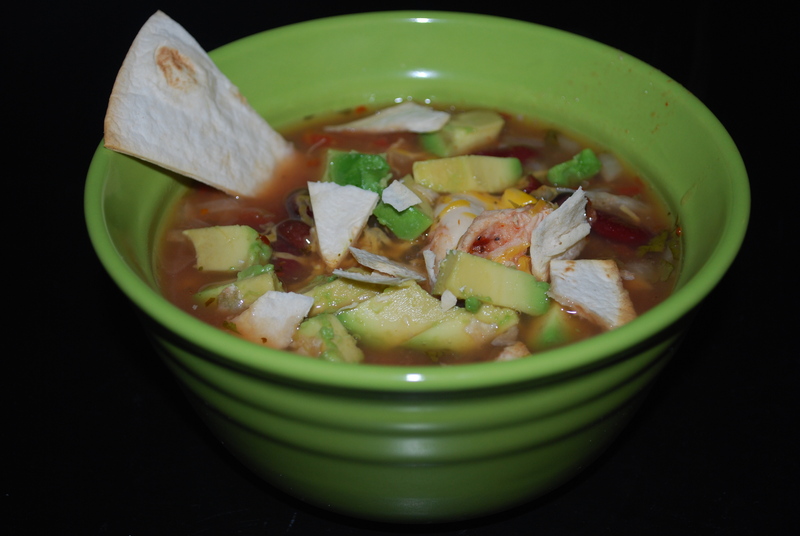 Taste to see if it needs extra salt and pepper, then spoon the soup into bowls and top with fresh avocado, more cilantro, and tortilla chips. 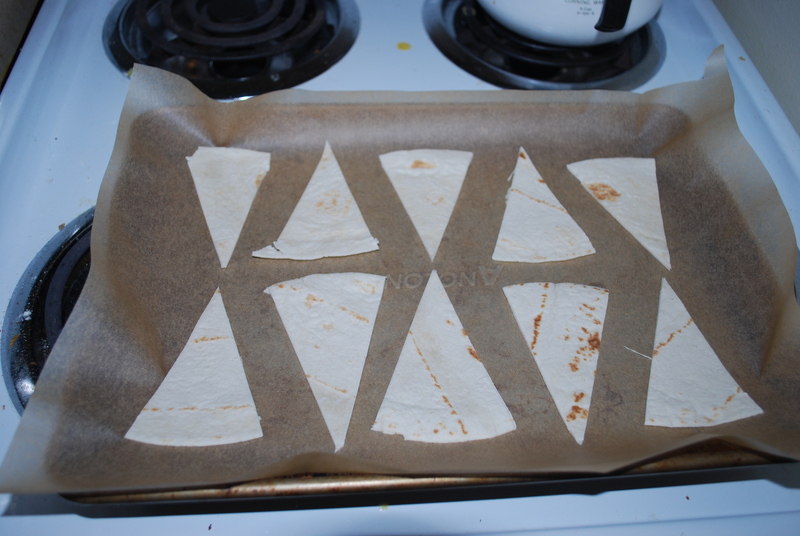 I didn’t have tortilla chips so I made my own by slicing tortillas then putting them on a parchment paper-lined baking sheet in a 375 degree oven for a few minutes until they crisped up. This is a truly easy meal to make and it’s freezer-friendly too. 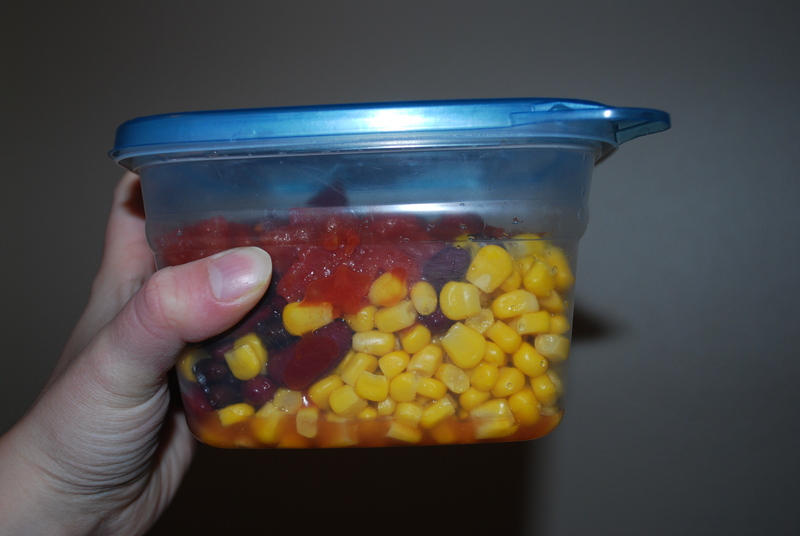 Make some on the weekend and freeze it in individual containers for a quick lunch or dinner during the week. You could also put less broth and serve it over rice or quinoa. I may do this with my leftovers! 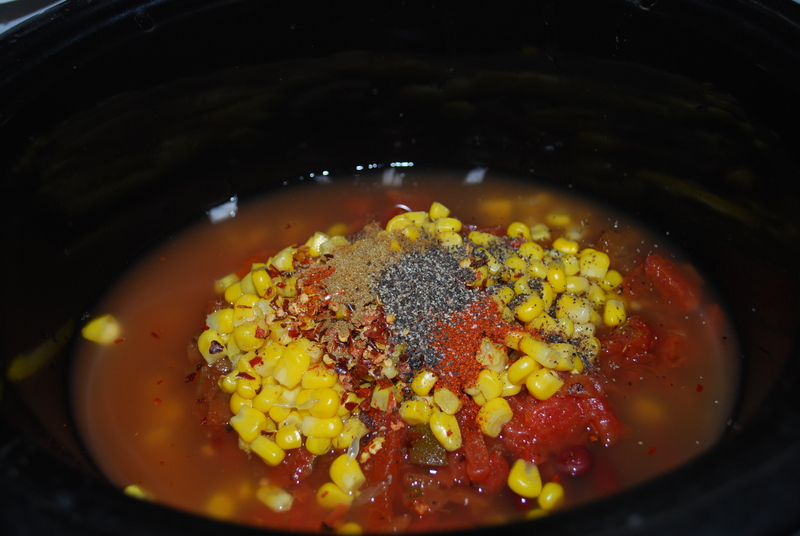 Add all ingredients to the crock pot. Stir to combine. Cover and cook on low 3-4 hours. Add more salt and pepper to taste. 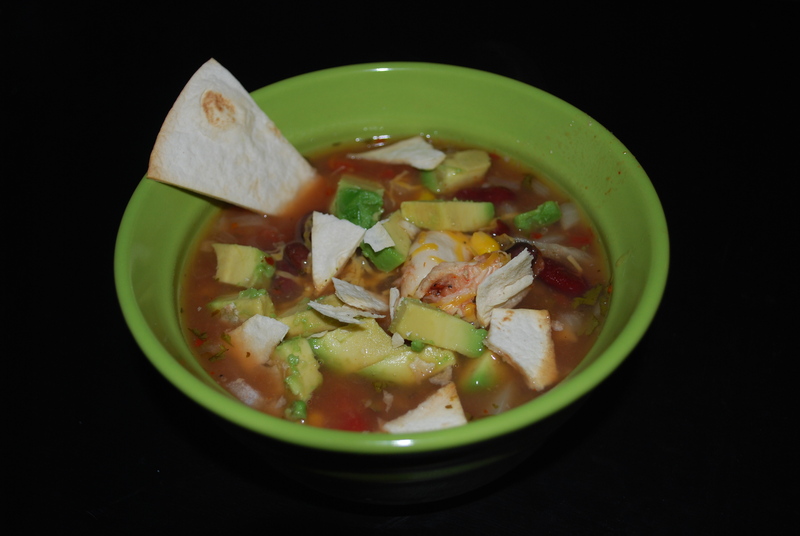 Serve with fresh avocado, tortilla chips, and fresh cilantro. This soup is actually pretty spicy, so if you’re not a fan of spice, choose a mild salsa and reduce the amount of red pepper flakes. I loved the amount of spice – it warmed me up quite a bit! Also, I definitely recommend serving with fresh avocado. 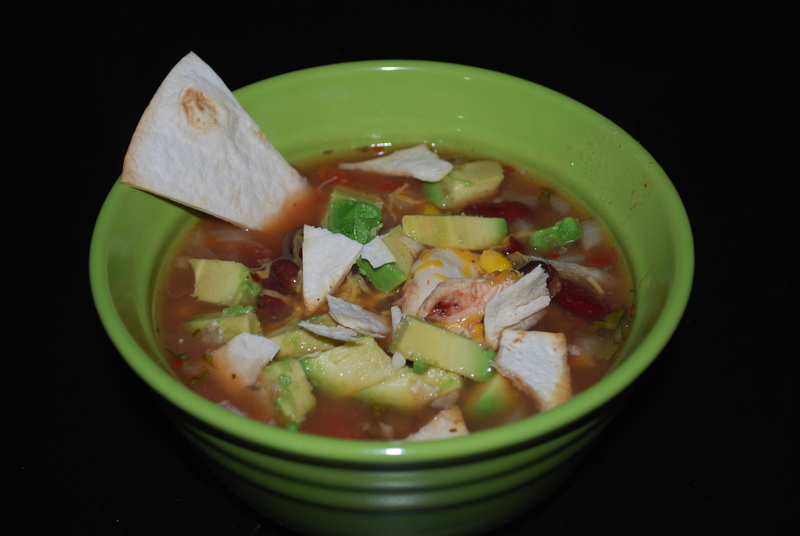 I really enjoyed the taste of the cool, smooth avocado in the spicy soup. This entry was posted in Crock Pot, Dinner, Healthy, Lunch and tagged beans, chicken, crock pot, Mexican, onion, slow cooker, soup. Bookmark the permalink.